In fact, it's on my "to do" list to make a pie in the very near future. What I hate, though, is when I make a pie and someone up and steals it. However, that's exactly what you're trying to do in Pie Thief, a new card game that's up on Kickstarter now. There's also pug dogs involved. Because... I can't see a reason why not to have pug dogs involved, honestly. Pie Thief is a really fun card game about stealing pies that somehow involves pugs. But for my family, it’s much more than that. We designed and built the game as a way to come together and connect. Like most families, ours is moving in a hundred different directions. Family game night was just one way we were able to stay connected face-to-face. But it also started a desire to make our own game. How hard could it be? Turns out it isn’t easy. After hundreds of hours of additions, deletions and playtesting that almost wound up in a garbage can, we persevered, and Pie Thief was born! We have made something we are proud to share. 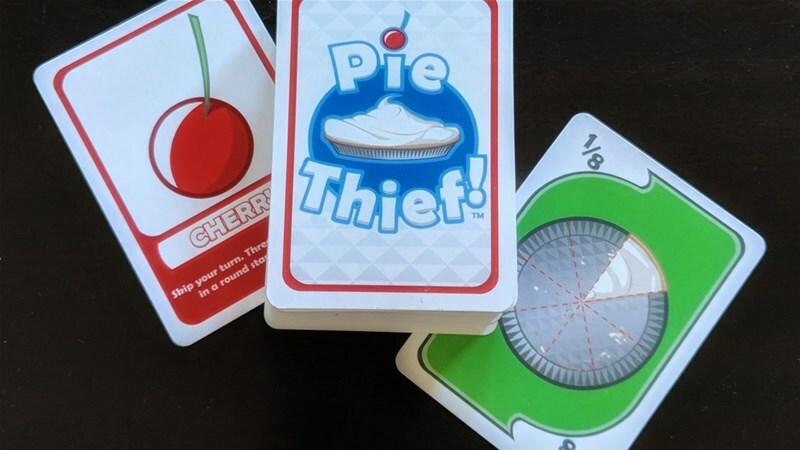 Our hope is that your family will have fun learning and playing Pie Thief. Staying connected in a digital world isn’t easy, that’s why we made it fun. Adding a few pugs didn’t hurt either. We hope you become a Pie Thief too! The Kickstarter is up and running now. It's set to go for another 23 days.